The pair would seem like they’ll inevitably have to fight, one way or another – but one of the two doesn’t think the other is serious – just yet at least. Strength and conditioning is something that rarely is questioned anymore about Joshua who usually comes into his fights in tip-top condition. Although perhaps carrying a bit too much muscle for a heavyweight boxer, but generally, his diet snaps on Instagram and lifestyle of training point to the picture of a man who lives the life of a professional fighter. A short career, after all. Former champion Tyson Fury is back in the gym shedding pounds by the day, grinding, putting the pedal to the metal, as they say. Indeed, Joshua has been vocal about this for a few weeks now. Pointing to the fact he’d have no problem fighting Fury is he can get back in shape. 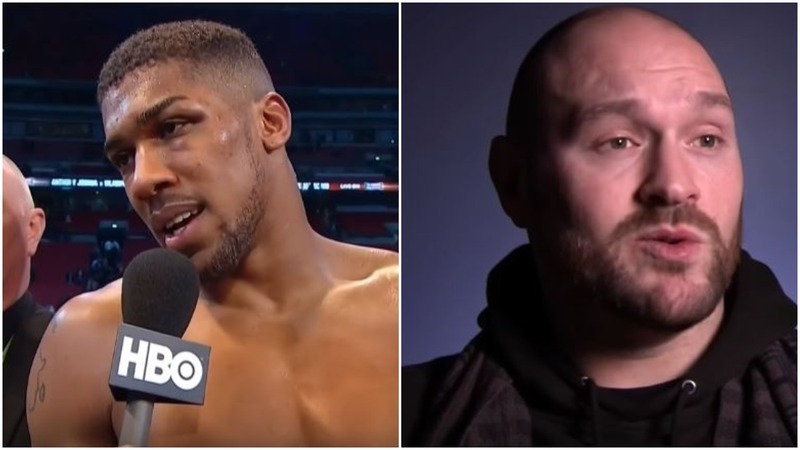 The question will be after over two years of carnage, will Fury be able to actually return to the athlete he was say, in the Wladimir Klitschko fight in November 2015? He has a new trainer involved in his comeback for 2018 who no doubt will have his regime and diet spot on, but time will tell. Only Fury himself will know the answer at this point.